Klezmer is a lively mixture of wedding and party music of 19th century Eastern Europe with strains of Yiddish theater and American dance band music of the early 1900s. But it borrows freely from gypsy tunes, Middle Eastern music and other sources as diverse as American folk music and rock ‘n roll. All of those influences come out in Bagels & Fraylox concerts. A traditional wedding march from one hundred years ago in Russia or a schmaltzy tune from Yiddish theater – even Broadway’s “Fiddler on the Roof” – may lead into a rock-flavored Middle Eastern rave-up that has audience members dancing in the aisles. 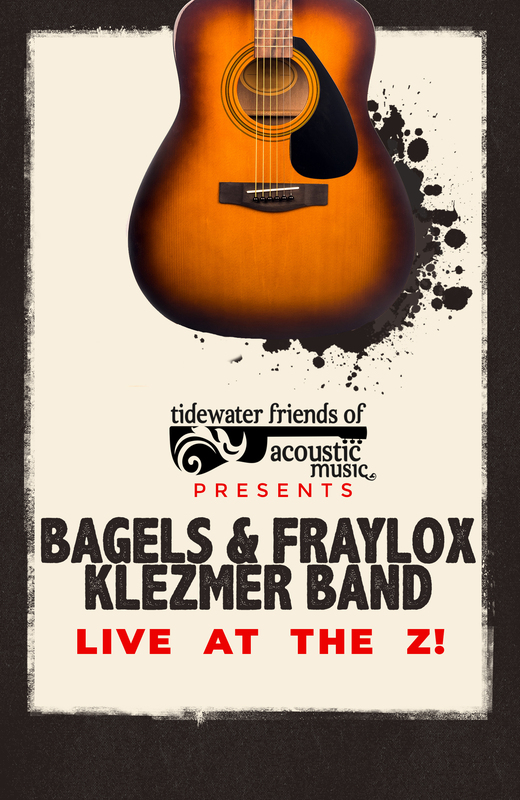 The name “Bagels & Fraylox” is a play on bagels and lox, the bread-and-smoked-salmon delicacy that has a place of honor in Jewish cuisine. The name also plays with the Yiddish word “frailach,” which is a merry tune for a happy time, or the happy time itself.